I love architecture. Art deco is my favourite. But I also loved zellig, mosaics, that exist everywhere in Morocco. It was behind fountains, covered floors, pillars and walls, and anywhere else you could imagine. Each piece perfectly in place. We even had the pleasure of seeing a zellig come to life. Men creating beautiful pottery pieces using a non-motorized wheel. 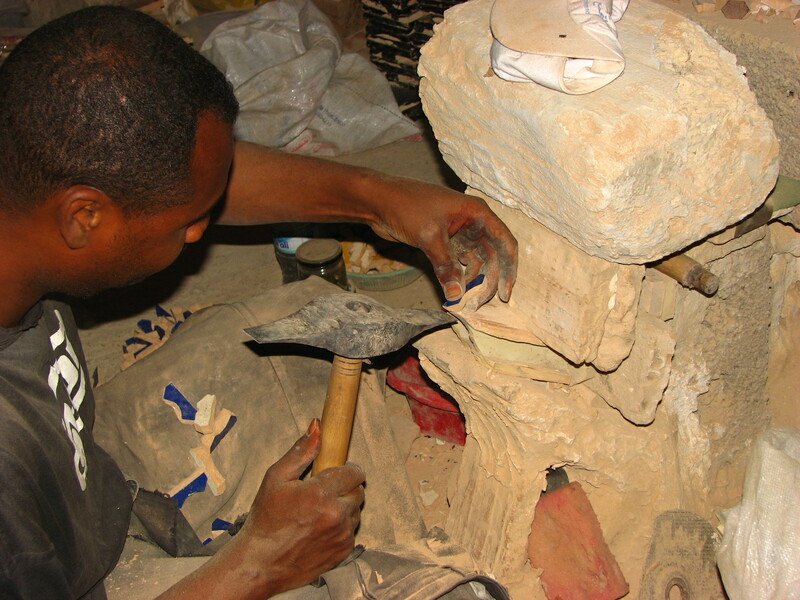 Others placing the items into the large kiln. Men hammering the little pieces into various shapes, and someone else who was in charge of putting them in place to create the design. Putting the pieces perfectly in place. Next Happy face. Sad face.